I’ll tell you where I was. I had just returned from class to my fraternity house at Ohio State waiting for the arrival of my roommate, who had just picked up his pre-ordered Sega Dreamcast. To date, I still consider 9/9/99 the most infamous and epic day in the history of video game console releases. Sega spent over $100 million in advertising alone, literally blitzing almost every media outlet you could think of. The best part about the Dreamcast was that it completely lived up to the hype. Between day one and holiday 1999, there were dozens of arcade hits and exciting, innovate titles that oozed out pure 128-bit graphical splendor from the little Sega swirl that could. My roommate’s first games were NBA 2K, Soul Calibur, Quake III Arena, and Crazy Taxi. Every one of these games looked incredible, even on the 4:3 aspect ratio, standard definition tube TVs of the day. It was almost mind-numbing how good it was compared to the PlayStation and N64, and as soon as I moved out of the fraternity at the end of that school year to live with another close friend, I immediately purchased my own unit along with all of the aforementioned titles, plus the newly released Resident Evil: Code Veronica. 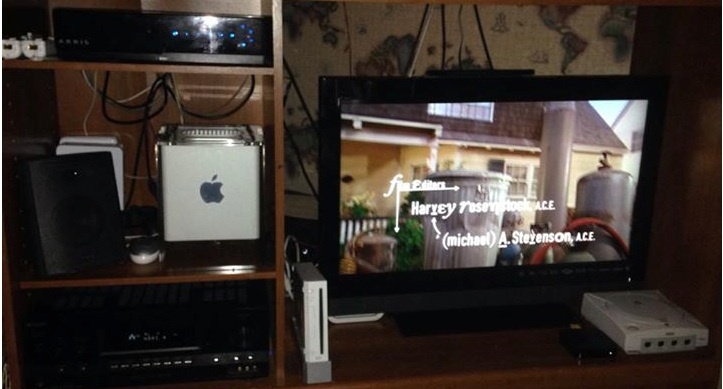 Fifteen years later, my original Dreamcast still has a happy home in my entertainment center (along with my G4 Cube, AppleTV, and Wii), as shown below. All good things come to an end, and in cases when something is just a bit ahead of its time – as the case was with the Dreamcast – death is all too fast. The Dreamcast, designed as a pure game console, could not hold off the multimedia juggernaut that had been equally hyped: Sony’s PlayStation 2, which promised DVD based games, DVD video playback and full backward compatibility with almost the entire PS1 library out of the box. Despite Sega’s initial surge and innovations once again trailblazing online gaming/web browsing through both the standard 56k modem that came with the Dreamcast and the broadband 10/100 Ethernet adapter (now extremely rare – selling for $150+ regularly on eBay) and despite efforts to offer both true arcade and PC style gameplay courtesy of wild peripherals such as the fishing rod controller (see Sega Bass Fishing), maracas (see Samba D’Amigo) and Sega’s own keyboard/mouse (perfect for Quake III Arena and Phantasy Star Online); Sega just couldn’t muster enough of an installed base to fend off Sony’s new machine – even with its launch price of $199 ($100 cheaper than the PS2). Too many just held out for Sony’s PS2 due to the fact that DVD was relatively new tech and you were getting much more than a game console for just $100 more than Sega’s Dreamcast. It’s a shame how many missed out on Sega’s unique offerings and groundbreaking hits that followed that initial surge. 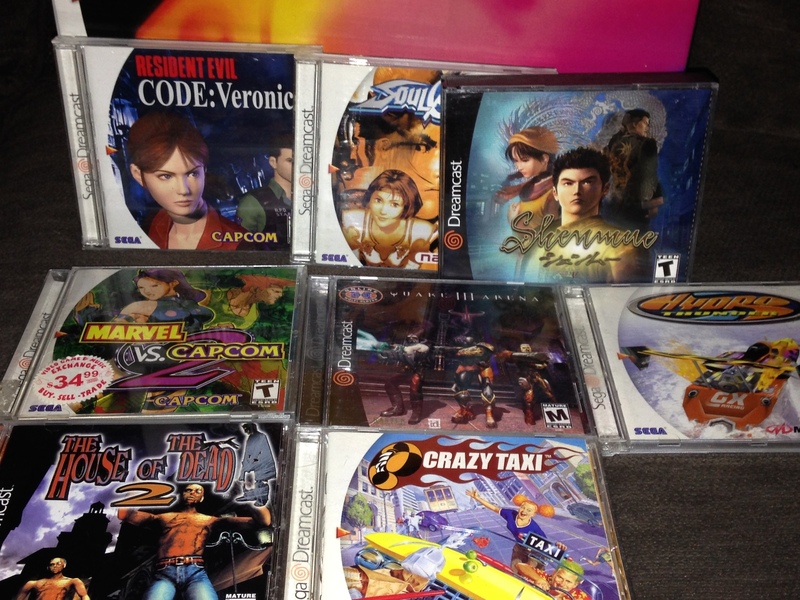 Aside from Resident Evil: Code Veronica, which I mentioned previously as a highly anticipated title (released in late 2000), a slew of fighting games arrived in 2000-01, including Marvel vs. Capcom 2 (regarded by many as one of the best fighting games of all time), amazing RPGs like Skies of Arcadia and the outstanding open-world epic, Shenmue. Clearly, during the very limited time when the Dreamcast thrived, Sega was simply focused on releasing better games and providing unparalleled quality, where it lacked in quantity from the developer support the PS2 had gained courtesy of the huge success the original PlayStation enjoyed. In my honest opinion, there were few standout PS2 titles from a pure graphical quality and gameplay standpoint during the same time frame of release compared to what the Dreamcast had right from the start – until developers really began to master the difficult programming caveats to squeeze as much as possible out of Sony’s complex and proprietary “Emotion Engine” graphics chipset. Metal Gear Solid 3: Snake Eater, God of War 2, Resident Evil 4 and Gran Turismo 4 come to mind immediately as some of the best titles the PS2 offered, but were all released several years after the PS2 was initially available. So what gives? Why did Sega fold so suddenly and give up on the Dreamcast? There’s no simple answer, but a lot of it had to do with Sega going all in with the Dreamcast, literally betting it all on the console with the gigantic marketing campaign and vowing to step away from the home console hardware business if it failed. That’s why the console was called the Dreamcast. Sega was literally casting a dream to keep its home console division alive but sadly came up far short of the 25 million units they needed to unload (according to company estimates) to start turning profits prior to the PS2’s release. The chips sadly fell in favor of the catch-all multimedia console for everyone vs. the dedicated high-quality console made for gaming connoisseurs. This unfortunate situation was combined with being on the heels of a couple of bad bets, including the Sega CD and 32X add-ons for the Genesis as well as the ill-timed, unannounced early release of the Saturn (which came with a $400 price point – $100 more than the original PlayStation). Sega was cash-strapped and needed the Dreamcast to be a smash success in order to keep making consoles. Unfortunately, it did not, and today Sega is simply a software developer and still makes limited arcade releases. 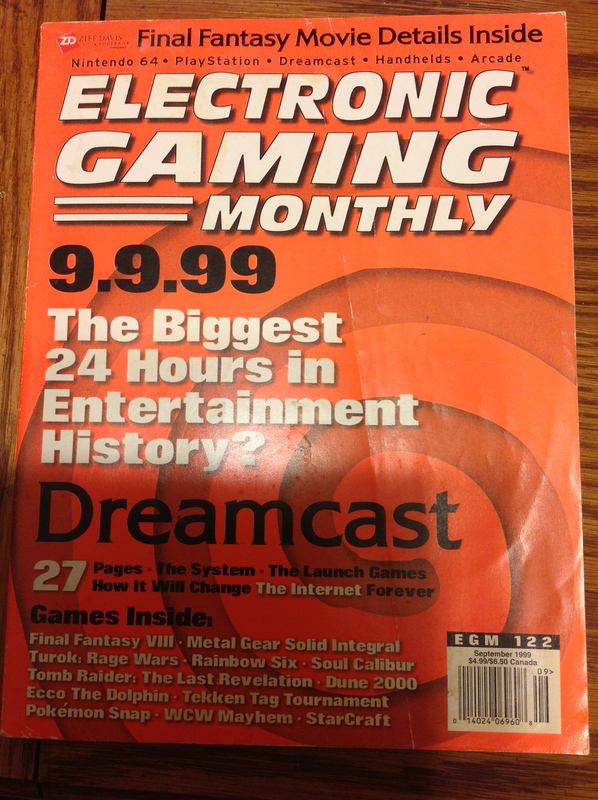 The Dreamcast hit its initial stride hard and fast, but burned out quickly in just 18 months like a “Candle in the Wind” – cue Elton John song of the same name. On second thought though, the Dreamcast to this day has an enduring legacy and a cult following. 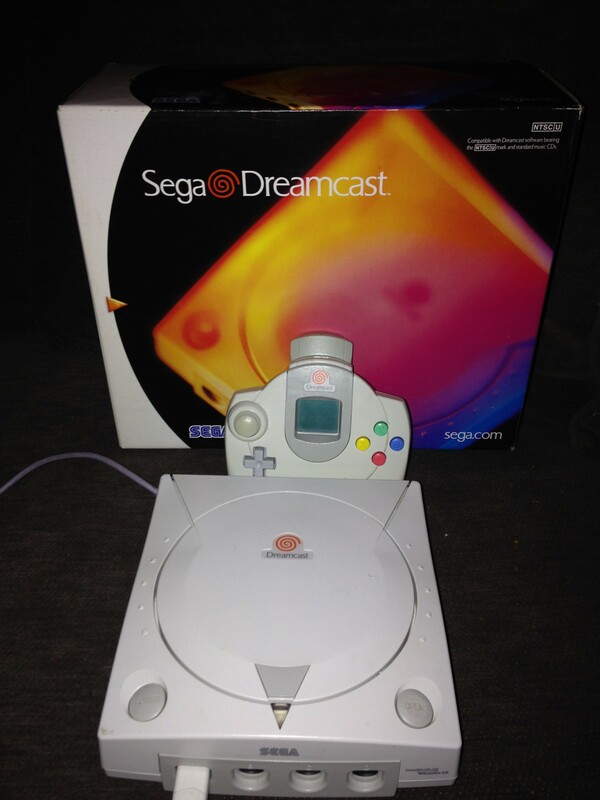 As outlined above in the whole quality vs. quantity argument, Sega just provided mind-blowing quality with their games while they were releasing them, and to this day the Dreamcast still has a deep cult following. Indie developers such as Watermelon’s Magical Game Factory, who are actively releasing cartridges and discs for retro consoles, including the Dreamcast (see Pier Solar HD) and former developers of SNK’s Neo Geo, now part of another niche developer, NG.DEV.TEAM that has released content for the Dreamcast (such as Last Hope and recently Neo XYX) prove that there is still a strong following. Players of Phantasy Star Online haven’t given up either. The game is now well over a decade old and is still being hosted on fan based servers such as the SCHTHACK private Phantasy Star Online server. Other fan based servers exist for other titles. This is a primary reason for the high resale value of broadband network adapters. The Dreamcast was an amazing machine that had so much more potential than it lived to claim due to Sega’s financial downfall. Die-hard gamers hope to see Sega return to glory once again. Perhaps a merger with Nintendo could make that “Dream” come true once again. Whatever happens, when the Dreamcast 2 finally arrives, give us full backward compatibility for those old games, controllers, and peripherals. Interested in low-end gaming? Join Low End Gaming on Facebook!